Little Compton was once full of Odd Fellows. That’s no insult. The Independent Order of Odd Fellows is a fraternal and philanthropic organization established in seventeenth-century England. It arrived on American shores in 1819, and in 1875, Seaconnet Lodge #39 of the Odd Fellows was formed in Little Compton. According to one possible explanation for the origin of the name “Odd Fellows,” groups formed for charitable purposes in seventeenth-century England were unusual, and their members might have been considered "odd fellows." Initially, the organization restricted membership to Protestant men, but in 1851 the Odd Fellows formed a women’s auxiliary group, whose members were called Magnolia Rebekahs. The two lodges also produced a young girl’s group, called the Theta Roses, and another branch of the Odd Fellows called the Encampment. 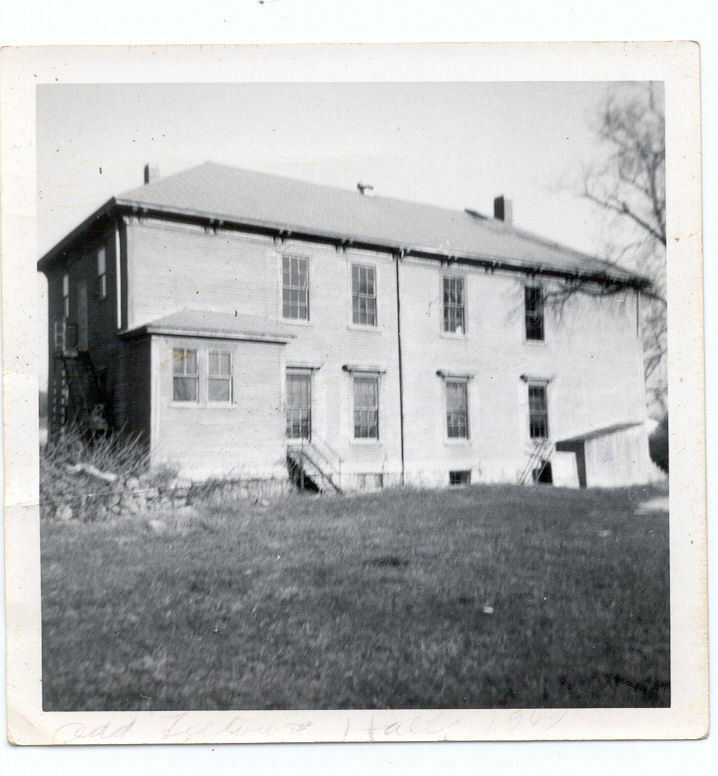 During the peak of involvement in Little Compton, Odd Fellows meetings drew up to sixty people every week. However, the group declined quickly. In 1967, the Electra Lodge closed due to inactivity and its remaining members rejoined the Seaconnet Lodge. According to Walter Elwell, “Like every fraternal organization, they’re in trouble.” The former Electra Lodge hall first became a pottery shop called Stone Bridge Dishes, and later became a private residence. Despite these setbacks, memories of the Odd Fellows remain strong within Little Compton and Adamsville. Boy Scouts troops met at the Electra Lodge, people were married there, and the space was great for dancing. James Brady credits his existence to a USO dance held at the Electra Lodge: “Every time I drive by the Odd Fellows Hall, I say, 'My God, that’s the place where my mom and dad met. And if they hadn’t met, well, for the last sixty-six years, I wouldn’t be here.'" Odd Fellows Hall : Despite its decline in the latter half of the twentieth century, the Electra Lodge Odd Fellows Hall was once a vibrant social center in Adamsville. In addition to serving as the meeting space for the Odd Fellows and their auxiliary organizations, the hall was also used for parties, weddings, and USO dances over the course of its history. 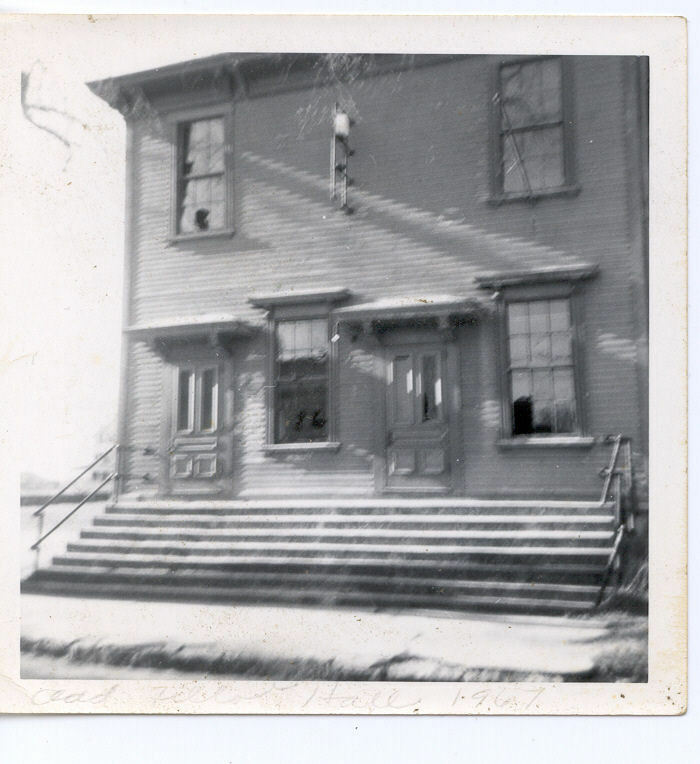 Electra Lodge Odd Fellows Hall : This south-facing view of the Adamsville Odd Fellows Hall, c. 1967, shows the building in its declining years, around the same time that the Electra Lodge merged back with its parent lodge in Little Compton due to a lack of members. 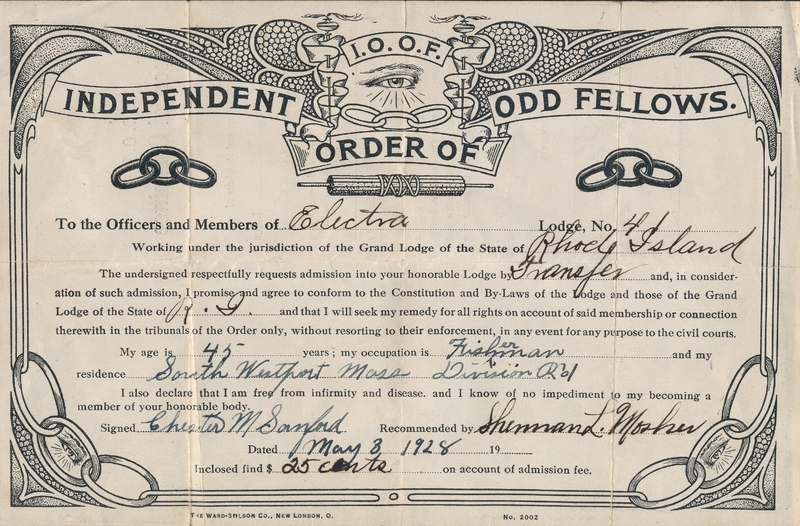 Electra Lodge Certificate : This certificate, presented to Walter Elwell in 1928, signified his acceptance into the Independent Order of Odd Fellows, an illustrious fraternal organization primarily concerned with member support and charitable works. The three links of chain in the bottom corners of the certificate symbolize the Odd Fellows three tenets of friendship, truth, and love. 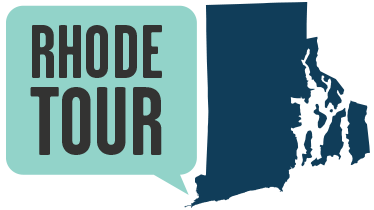 Abigail Ettelman, “Adamsville Odd Fellows: Electra Lodge,” Rhode Tour, accessed April 22, 2019, http://rhodetour.org/items/show/117.